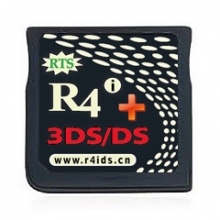 From the same people that bring us the R4i Gold 3DS card now comes the newest R4I GOLD 3DS PLUS. It is a DS Mode card with a built-in switch to make it fully compatible for ntrboothax. One of our most advanced cards ever designed for the Nintendo DS, DSi, and 3DS systems. It brings with it a double processor chip allowing even faster firmware updates and better compatibility with all games, apps and media player functions. 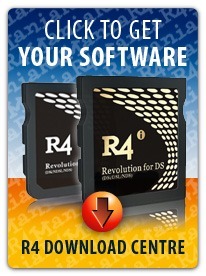 The R4 3DS card has long been the favourite flash card for all Nintendo DS, DSi and now 3DS owners. Making it easy for you to bring a slew of features and functions to the very best handheld console of all time. Whether you want to turn your Nintendo DS, DSi or 3DS into a fully functioning multimedia player, or want to get your hands on some of the most fantastic homebrew and indie game and applications, the R4 3DS Dual Core can do it all ... and more. If you're an old-school game addict like we are, then this is the card for you! With emulators for all of the top classic gaming systems and computers, you'll be able to relive the gaming days of yesterday by playing some of your favourite classic games right on your Nintendo 3DS system. With emulators for the NES, Super NES, Genesis, Mega Drive and dozens of other old classic systems, you'll never run out of games to play. Just imagine enjoying your Nintendo 3DS game, and then deciding that you wanted to catch up on that book you've been reading. With the R4 3DS Dual Core, you can. It has several amazing ebook readers, both free to download and use, that will turn your Nintendo 3DS into a full ebook reader. If digital comics are more your thing, then this card has you covered too ... You can read all of the latest digital comics and digital versions of your magazines right on your 3DS. 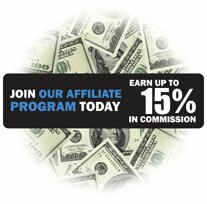 I have told my friends about you and I am going to tell people in forums too about how good your store is. 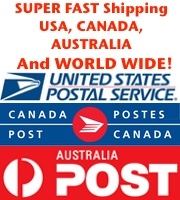 The good service and the fast replies and getting help whenever I needed it is amazing and so much more than any other similar store. Thanks for everything, will definitely be sending my friends here to buy. I wasn't sure which r4 to get but got recommendations from some friends. Just get this card. That's what they said and that's what I'm saying to everyone. Works great and it is probably the easiest to run NTRBoot with the built in switch so you can do away with any flashing and re-flashing. 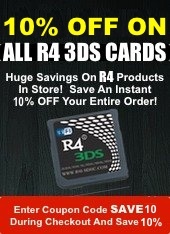 Click the button below to add the R4i Gold 3DS Plus to your wish list.